Make sure your trees and shrubs are getting the proper help they need to grow healthy and strong! With Lawn Connection’s tree and shrub care, your landscape will stand tall among the rest! Tired of seeing your landscape struggle throughout the year? At Lawn Connection, we have developed a 6-step tree and shrub care program that will maintain and maximize the health of your landscape. Spring Dormant Oil – Eliminates insect eggs that make it through the winter. This also controls various early emerging insects. Spring Foliar Fertilizer – Provides the nutrients needed as plants prepare for the growing season. Spring Disease/Insect Control – Spot treatment for various plant-destroying pests using seasonally dependent methods. Summer Disease/Insect Control – A follow-up treatment to provide control for the remainder of warm months. Fall Deep Root Feeding – This application is directed right to the root system of your landscape plants. We use the building blocks necessary to promote growth and healing in your plants. Fertilizer, micro/macro nutrients, and systemic disease/insect control are carefully combined in the essential process. Fall Dormant Oil – Controls adult scale and mite insects as well as various insect egg masses. We promise to keep your family and the environment safe. Our proficient, courteous team is available to help you with everything from disease and insect control to a deep root feeding that will amplify the root growth of your trees and shrubs. Lawn Connection applies Integrated Pest Management strategies to our plant services. It is our environmentally-responsible and effective approach to plant care maintenance. This results in efficient landscape pest control with reduced economic, health and environmental risks. Since 1986, we have proudly served New Jersey, including Medford, Mt. Laurel, and Moorestown, with tree and shrub care. 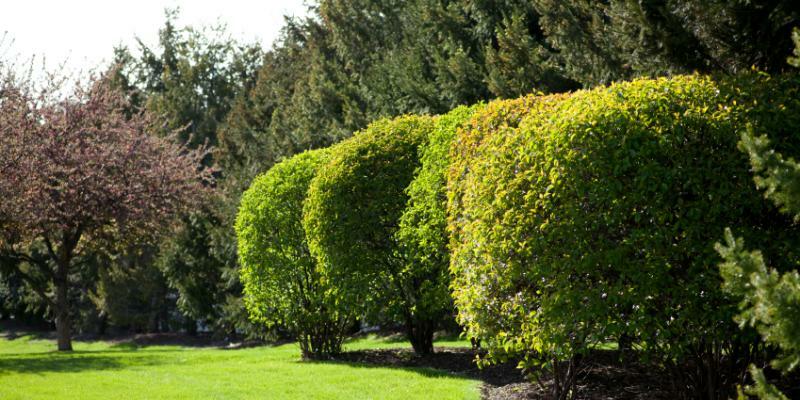 Our experienced team knows the common diseases and pest that plague the trees and shrub in New Jersey and have created a program to make them a thing of the past. What’s more, our tree and shrub technicians take the time to tell you exactly what they’re doing and why they’re doing it. At Lawn Connection, we believe that the more knowledge our customers have on our process, the more value they’ll see in our service. Lawn Connection’s goal isn’t only to provide great services, but to also provide great customer service. One of our many ways of doing this is by providing trustworthy services. Our Tree & Shrub Care recommendations are guaranteed to provide excellent results. As a local company, you’re more than a customer; you’re our neighbor, and we look out for our neighbors!